Today was my daughter’s last day at preschool before holiday break. Her amazing teacher had a day full of fun winter and holiday activities! My daughter’s most favorite part of the day was their outside snowball fight. We live in Arizona and rarely get to see snow. My daughter’s teacher, Ms. April, made play snow by mixing a few simple ingredients. The snow was soft and fluffy; perfect for little hands to make snowballs outside. What a fun and messy way to end the school week! 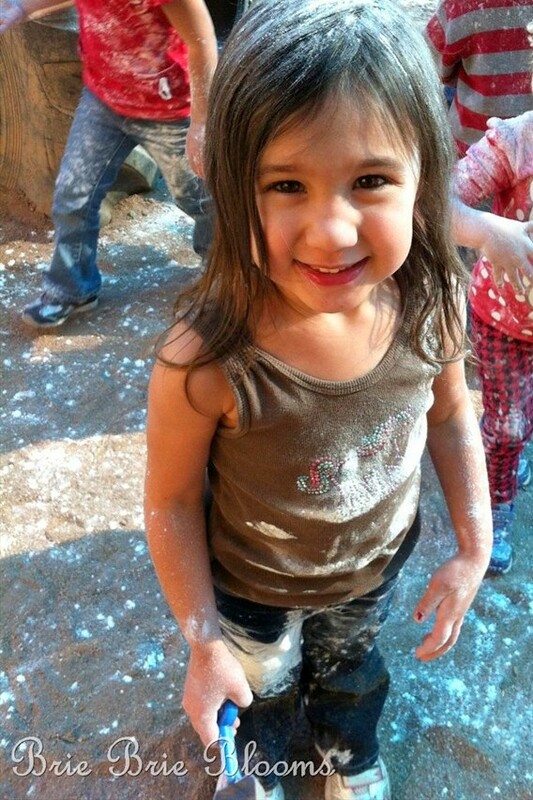 1) Mix cornstarch and shaving cream together. 2) Have tons of fun playing with the snow outside! My daughter is so lucky to have a teacher that’s not afraid of messy projects. The kiddos loved the snow!